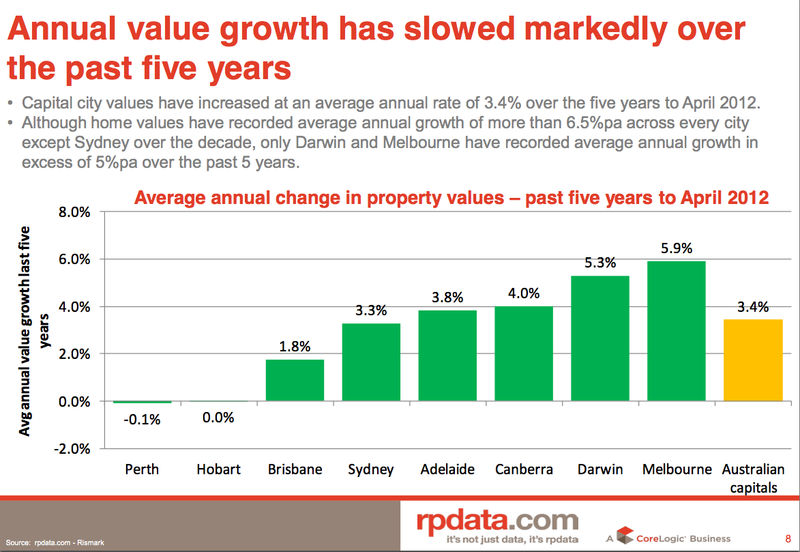 "Property values across the combined capital cities of Australia showed renewed softness in the latter half of April with dwelling values falling by -0.8 per cent after a stable first quarter. 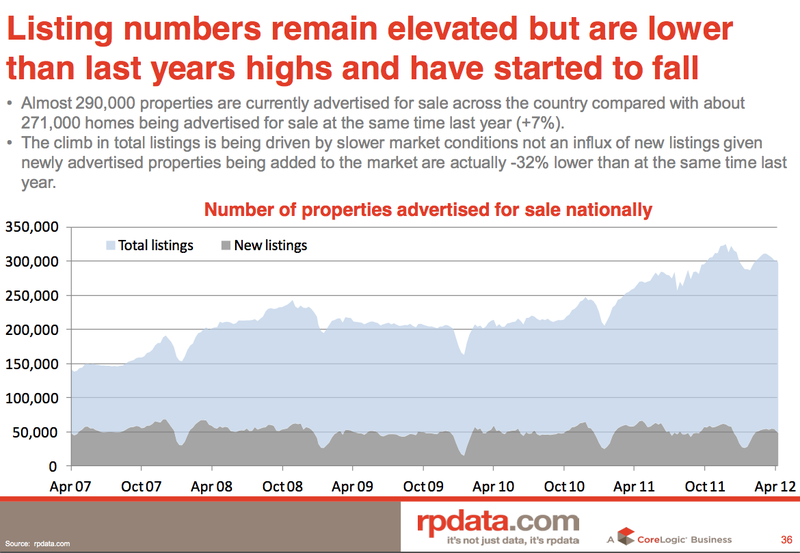 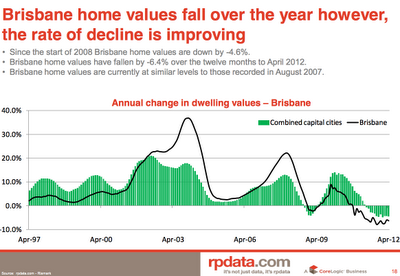 Over the three months ending April 30 the RP Data-Rismark Index has seen values rise by 0.3 per cent. On a year to date basis, dwelling values are now down -0.7 per cent. 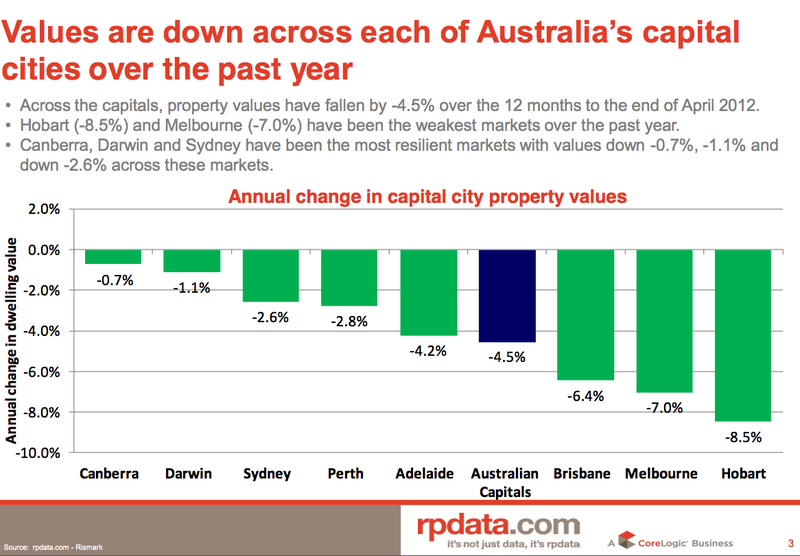 Values were down across five of the eight capital cities over the month of April, with Hobart (-2.9%), Melbourne (-1.7%) and Brisbane (-1.3%) recording the largest falls. 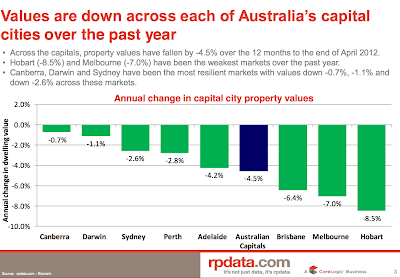 On a 12 month basis capital city dwelling values have fallen by -4.5 per cent with the weak conditions in Melbourne (-7.0%) and Brisbane (-6.4%) dragging the weighted average down. 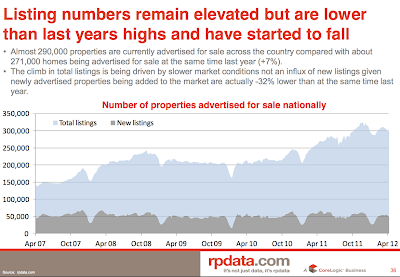 RP Data‟s research director Tim Lawless said that the housing market gains seen throughout February and March, which delivered a flat first quarter result, have now been mostly offset by the -0.8 per cent fall over the month of April."